Ready to ship. 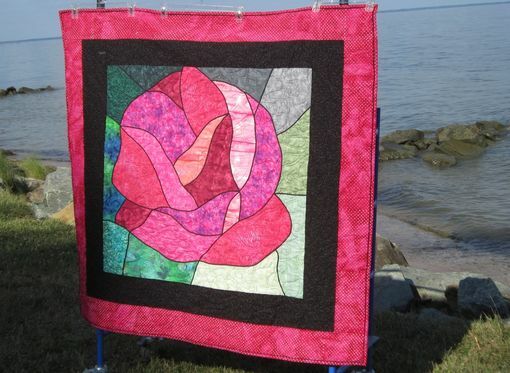 This artful interpretation of a blooming rose is 58"x58". This backing is plush minkee and can be used as a nap quilt or a wallhanging. Enjoy!